Every teacher has a great story to share and is an important part of this conversation. The Social Media Tool in our community is a global space for sharing resources, ideas, professional learning, blog reflections, and stories from the classroom. Social Media provides access to learning support from NGSS experts, peers, and scientists with rich and diverse backgrounds that can contribute to your on- going personalized professional growth. Social media is an active place where all teachers can lead from the classroom, coaching and supporting others while they learn themselves in both synchronous and asynchronous ways. 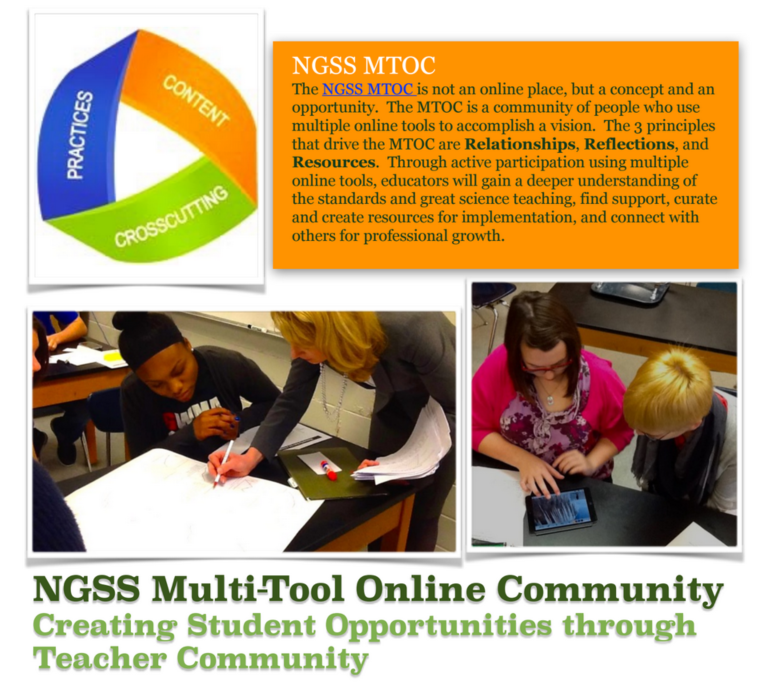 What is the NGSS MTOC?